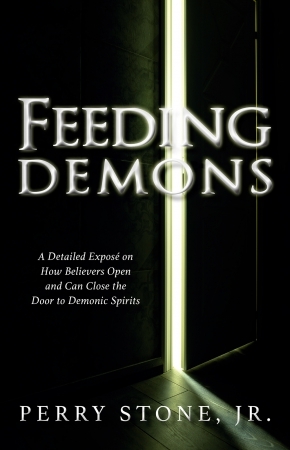 Feeding Demons | Karmal Books online Christian books and media store. After years of comprehensive research probing Old and New Testament prophecies and encountering the powers of darkness renowned biblical teacher, Perry Stone releases FEEDING DEMONS to carefully reveal the operational skills, deceptive tactics, and crafty methods of battle that demons possess. Feeding Demons is not intended to glorify the presence, power, or plots of the adversary, but is written to expose their strategies and enlighten believers, teaching them to enforce their authority, provided through the redemptive covenant of Christ!